While hemp and cannabis may be legal at some level, there remains the concern of cannabidiol’s general legality, particularly as an additive. According to the FDA’s website, CBD products are not an approved dietary supplement, as defined by sections 201(ff)(3)(B)(i) and (ii) of the Federal Food, Drug, and Cosmetic Act of 1938.4 Considering several factors, such as public health, the FDA is allowed to initiate enforcement actions to address noncompliance issues. The legal challenge created by CBD-infused products has become one of such instances. With the increasing popularity of CBD, many experts have predicted that local enforcement authorities would make a regulatory intervention. “The packaging and labeling requirements aren’t there yet in states that don’t have a cannabis regime,” California cannabis attorney Griffen Thorne stated, speaking to the Atlantic regarding CBD’s sudden popularity in edibles. “If you go buy a CBD beverage and it’s not specially packaged—it just looks like another coffee or whatever—someone might take a sip who doesn’t intend to.”5 Circulation of exaggerated claims regarding cannabidiol’s medicinal benefits also pose a significant legal threat to the industry’s future. 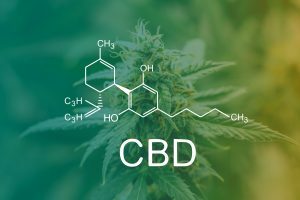 Last June, the FDA did approve the first CBD drug for the treatment of epilepsy, however, business owners are not likely to find a clear solution for their infused products. In New York, discovery of CBD food products will result in fines of between $200 and $650, depending on the quantity obtained, starting July 1.7 Somewhat new, the legal framework surrounding the substance is still being developed, and the future of consumable cannabidiol products is uncertain. Siemaszko, Corky. “Key Marijuana Chemical Called CBD Can No Longer Be Added to Food, Drinks in NYC.” NBC News. February 6, 2019. Accessed February 07, 2019. https://www.nbcnews.com/news/us-news/key-marijuana-chemical-called-cbd-can-no-longer-be-added-n968566. Hicks, Nolan, Rich Calder, and Tamar Lapin. “Health Department Banning CBD from All NYC Restaurants.” New York Post. February 05, 2019. Accessed February 07, 2019. https://nypost.com/2019/02/05/health-department-banning-cbd-from-all-nyc-restaurants/. Hudak, John. “The Farm Bill, Hemp Legalization and the Status of CBD: An Explainer.” Brookings.edu. December 13, 2018. Accessed February 07, 2019. https://www.brookings.edu/blog/fixgov/2018/12/14/the-farm-bill-hemp-and-cbd-explainer/. Office of the Commissioner. “Public Health Focus – FDA and Marijuana: Questions and Answers.” U S Food and Drug Administration Home Page. Accessed February 07, 2019. https://www.fda.gov/NewsEvents/PublicHealthFocus/ucm421168.htm. Mull, Amanda. “The CBD Crackdown Has Begun.” The Atlantic. February 06, 2019. Accessed February 08, 2019. https://www.theatlantic.com/health/archive/2019/02/new-york-city-cbd-crack-down/582193/. Overton, Penelope. “State Orders Stores to Remove Edibles with CBD from Their Shelves.” Press Herald. February 04, 2019. Accessed February 07, 2019. https://www.pressherald.com/2019/02/01/state-orders-stores-to-remove-edible-cbd-from-shelves/.